Federal authorities say they have brought down the leader of a major opioids manufacturing and trafficking ring that has been supplying New York's Southern Tier and Northern Pennsylvania. The U.S. Attorney's Office says Robert Ian Thatcher, 30, of Elmira is facing a minimum penalty of 10 years in prison, a maximum of life and a $10 million fine for his role leading the importation of furanyl fentanyl from China on the dark web and converting it into pills that look like Percocet. Assistant U.S. Attorney Brett Harvey says at least two people died from the pills, while another overdosed more than once but was revived using Narcan. 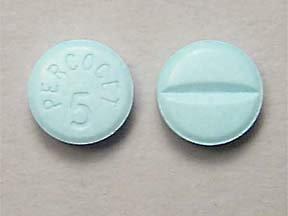 The U.S Attorney's Office says the illegal opioids were manufactured to look like these blue Percocet pills. To date, authorities say 13 people connected with the ring have been convicted of federal narcotics offenses. Each is awaiting sentencing. Another Elmira resident, Isaiah McLaurin, was convicted in September 2017 of witness tampering, after he made threats on Facebook against a Drug Enforcement Administration agent during the investigation. McLaurin was sentenced to 57 months in federal prison. As more and more efforts are made across the country to curtail opioid addiction, some say a culture of fear has developed in the medical community -- fear for patients' safety, fear of being prosecuted by regulators. One fallout is a growing population of patients no one seems to know exactly what to do with: chronic pain patients who are already dependent on opioids and need to find new doctors to treat them. New York has joined the growing list of states taking legal action against pharmaceutical companies over the opioid epidemic. On Tuesday, the state sued Purdue Pharma. New York State will soon allow anyone prescribed an opioid to request medical marijuana instead. The state's Department of Health announced details of the new policy on Thursday. In Western New York, addiction is everywhere - from cities to suburbs to rural areas. Medical experts say treatment facilities should be where the patients live. WBFO contributor Rich Kellman reports.